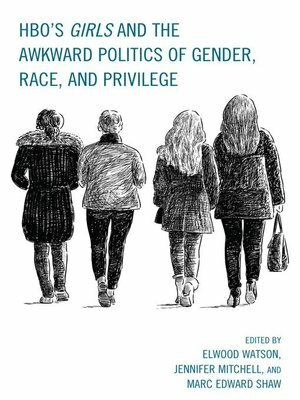 HBO's Girls and the Awkward Politics of Gender, Race, and Privilege is a collection of essays that examines the HBO program Girls. Since its premiere in 2012, the series has garnered the attention of individuals from various walks of life. The show has been described in many terms: insightful, out-of-touch, brash, sexist, racist, perverse, complex, edgy, daring, provocative—just to name a few. Overall, there is no doubt that Girls has firmly etched itself in the fabric of early twenty-first-century popular culture. The essays in this book examine the show from various angles including: white privilege; body image; gender; culture; race; sexuality; parental and generational attitudes; third wave feminism; male emasculation and immaturity; hipster, indie, and urban music as it relates to Generation Y and Generation X. By examining these perspectives, this book uncovers many of the most pressing issues that have surfaced in the show, while considering the broader societal implications therein. Elwood Watson is professor of history, gender studies, and African-American studies at East Tennessee State University.Jennifer Mitchell teaches at Weber State University.Marc Shaw is associate professor of Theater Arts at Hartwick College.